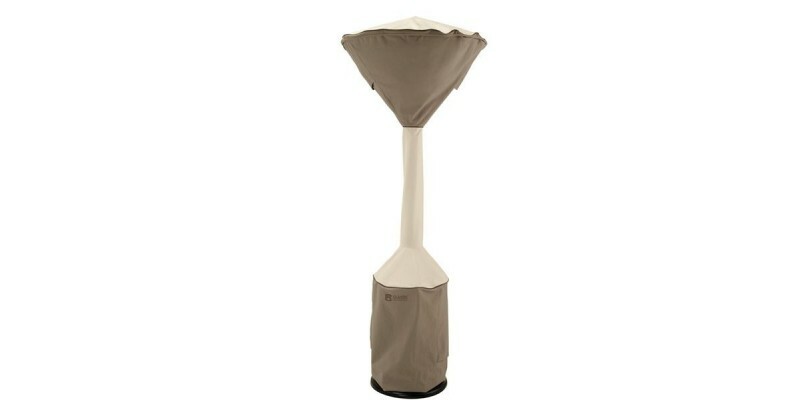 Heavy-duty fabric cover protects standup patio heaters from weather damage and dirt. Gardelleﾙ protective fabric system features a water repellent and resistant PVC under-coating and protective splash guard base. Tough interlocking seams add strength and durability. Special treatments ensure fabric wonﾒt crack in cold weather. Air vent reduces inside condensation and wind lofting. Zippered closure for easy fitting and removal. Three year warranty.